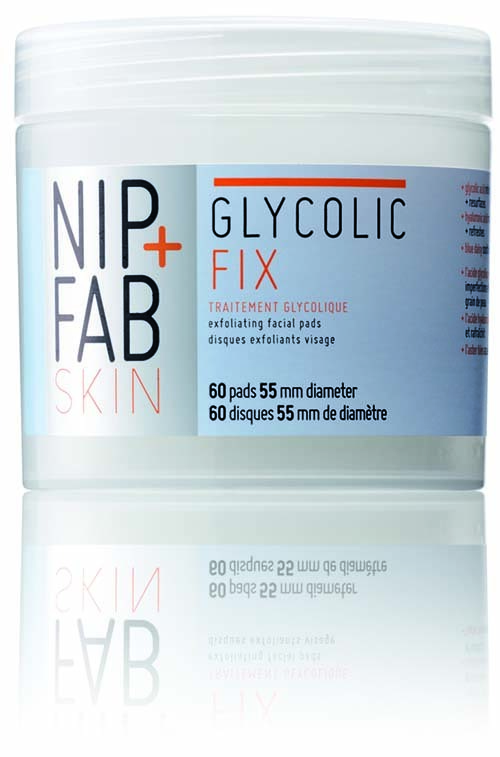 One of my favorite new products is Nip+Fab’s Glycolic Fix Pads. My skin can sometimes be acne prone, but yet it still dries out easily so it is hard to find a product that suits my needs that contains Glycolic Acid. But these pads contain hyaluronic acid, which helps to moisturize skin. The pads exfoliate gently and help even skin tone. I have almost finished my first tub of pads, and I can actually tell a difference in my skin! This is one of the few products I’ve tried where I can see a noticeable difference. My skin tone looks healthy and I feel like dark spots have been reduced. This Friday I thought I’d do a product review on one of my favorite go-to cosmetics. I’ve been trying different face products and foundations for years now, and have finally found a drugstore brand that provides everything I could ask for in a foundation. Product Description: A long-wearing foundation that is lightweight and will not fade or rub off. No cakey feel. This makeup is made to last all day and provide continuous hydration. Results: The product goes on smoothly, and provides enough coverage to hide flaws and uneven skin tone, but is still light enough that it looks natural. The foundation lives up to it’s claim and last’s all day (even in the heat!). No makeup settling into lines and creases – just an oil free flawless look that lasts all day! Stars: 5 out of 5! Finally a FlexBall Razor for women! I’ve been secretly wanting to try the Gillette Flexball Razor for men, but never got around to it. So.. perfect timing that the came out with one for women. Product Description: A contouring razor for women with Gillette’s “revolutionary FLEXIBALL™” and 5 blades. The handle has a nicer grip than the previous Venus Razors, and the blades are surrounded by a water-activated serum to enhance glide on skin. Results: The rotating head takes a minute to get used to, but comes in very handy around tricky areas like knees and ankles. The razor glides over skin very smoothly, although the moisture provided seems to be similar to previous Venus Blades. Overall, the Venus Swirl makes it easy to shave quickly and precisely, without causing irritation or nicks. Since the razor itself only has to be purchased once – I’d highly recommend splurging, but maybe sticking to the regular blades. The Flexball is a nice asset, but I didn’t see much difference in the Venus Swirl blade as compared to the previous Venus Blades. When I walked in to a popular beauty store a few days ago, I was convinced by a makeup artist to purchase the new Roller Lash Mascara from Benefit. So, here is my review. Product Description: The mascara promises to separate, lift and curl your lashes, with a hold that lasts up to 12 hours. The Hook ‘n’ Roll™ brush provides instant curl, and is supposed to be a replacement or reduce the need for an eyelash curler. Results: I must admit that I had high expectations after being persuaded by the sales lady. So maybe my expectations were too high. 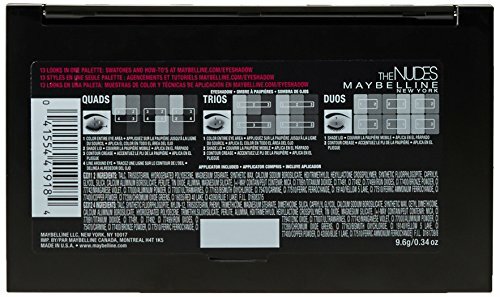 The mascara DID offer some extra curl to my lashes – I don’t curl my eyelashes often as it is, so not sure if it would be a substantial replacement. The mascara formula is water-resistant which is nice – it won’t flake off or run. However I did have a problem with a few of my lashes clumping together and refusing to separate like the package promised. Other than that, if you are looking to save time and skip the eyelash curler, I’d say this mascara is the best for lift and curl that I’ve tried. I have long been a fan of the Naked palettes from Urban Decay, but at such a high price (around $54!) I was so excited when the Nudes Palette from Maybelline came out. The palette is around $11 (such a steal!) and could save loads of cash if comparable to the competitor. Lets start with the colors. I have a pale skin tone, but the Nudes Palette contains the perfect proportion of dark and light shades for my skin. The shimmery shadows are not too glittery, but just enough for a great holiday look or special occasion. Another great part is that they’ve included instructions on the back of the palette for Quads, Trios and Duos. These instructions are great if you need help mastering the smokey eye look (which by the way is achievable beautifully with the Nudes Palette!) The colors in the palette are arranged accordingly, which is great when you are trying to follow the guidance on the back. In conclusion I can say that this is my new favorite go-to eyeshadow palette. No need to spend large sums of money on designer brands. This product has it all!